This guide explores the options for the PA System (Public address System) to suit the needs of Carnatic music at small venues. The guide is divided into two parts, first where I explore the current situation. And in the second part, I explore the actual components in the system. At the outset, I would like to confess that I neither claim to be an expert at audio related matters and neither am I academically qualified in this particular realm. But I am certain in my desire for good sound and I believe I have some understanding through self education, and it is my strident belief that Carnatic music could do much better with greater emphasis on sound related matters. Music after all is an art form where we enjoy the aesthetics in the realm of sound. So this is a guide seeks to simplify the PA System, the most integral component of sound in performances. Although this guide is meant for Kutcheri (Carnatic music performance) organizers to address the typical needs and concerns surrounding kutcheri at small venues, this can also be of use to musicians and rasikas (connoisseurs) alike who are more interested about sound related matters. People looking for larger setups would likely seek professional help anyway. Although my aim is to address the situation pertaining to the needs of Carnatic music recitals, the salient points of this guide can easily apply to other musical forms as well. The following guide is an accumulation of thoughts and opinions that I have gathered from self-reading and experimentation. Some part of this guide derives from my personal observations. So by definition, these cannot be scientific facts. Furthermore, the scope of this guide is only introductory. The PA system is only one part in the larger scheme of Live Sound. And live sound is only one specific application of the principles of acoustics and electronics, the study of which can take a lifetime. I earnestly hope that this guide of use to someone and hope that it results in some tangible change, in whatever small way. I welcome any corrections and suggestions that you’d want to see take shape in this guide. The PA (Public Address) System is the collective name given to components that work together in amplifying and distribute the sound of a performer, presenter, lecturer, or other such sources of sound, so that the audio can be heard clearly by the audience. 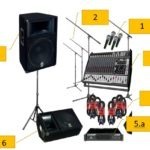 This guide seeks to simplify the technicalities of a basic PA system in the hope that it will result in better sound related practices, which will enhance the quality of the concert. The PA system tends to usually be a one time purchase. So such an investment has the potential to yield results for a long time to come. Just as a painter cannot excel at his capabilities if you present him with a poor canvas and bad paints, a musician cannot perform to the best of his/her abilities is he/she isn’t in the presence of an environment conducive to the proper propagation of sound. And importantly, audience members are left with a less gratifying experience, regardless of their understanding of acoustics. In general, the current state of PA systems at conventional Carnatic music kutcheris at small venues is not satisfactory at all. As an effect, the average Kutcheri is often a chaotic event (acoustically speaking) because of the improper use and inadequacies of the PA system. This results in frustrated artists and less-than-satisfied audience, and drastically mars the experience at a concert. It is my strong belief that bad sound practices are why Carnatic music may seem off-putting to many lay people. This also causes artists to resort to showmanship and theatrics, to compensate for the lack in aesthetics (or what we call naadam). The adoption of electronic amplification for acoustic instruments might also be such a reaction. To the right is an image of the typical PA setup used at many venues. The amplifier on the top is very inadequate as it tries to perform roles that are meant to be played by separate and specialized pieces of equipment. 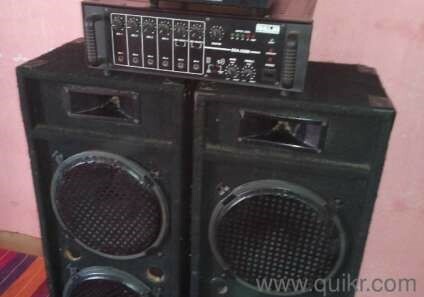 It provides power for the microphones, acts as a makeshift mixer and speaker amplifier. It is very inadequate in all three areas. The loudspeakers are locally sourced low quality speakers. Given their poor design, they are prone to distortion, feedback problems and completely alter the tone of music being played through it. Such a system is inexpensive, yes. But often, organizers continue to use such inadequate systems out of habit and due to the lack of know-how. With the easily availability of products from across the world and emergence of high calibre Indian manufacturers, there is no more reason to stick to these ‘tried and failed’ methods. And with the influx of new money into the field, the time is ripe for substantial change. Anecdotal evidence suggests the systems used in music performances of other genres is much better, with adoption of better equipment and use of better techniques. It is time for the Carnatic music world to catch up. A lot of Carnatic music organizers choose to hire audio services so that they can delegate a task that requires a slight bit of know-how. But unfortunately many of the light-sound shop or tent shop owners who provide the service, make use of substandard equipment like that mentioned above. Furthermore, they often are not well informed about how to handle sound appropriately for the need. I am a huge advocate of buying your own live sound gear. But at the very least, resorting to knowledgeable vendors who can supply higher quality equipment is the least we can do. So knowing about the possibilities in the market can help us aim for higher quality. Also knowing about the workings of live sound will help us better communicate our intent with the person mixing the sound. Fidelity is the measure of how accurate and faithful the reproduced sound is, when compared to the sound source. For example, the sound of a human voice on the telephone sounds ‘unnatural’ and is of ‘low fidelity’, as a lot of the bass (low frequencies) and treble (high frequencies) are removed. 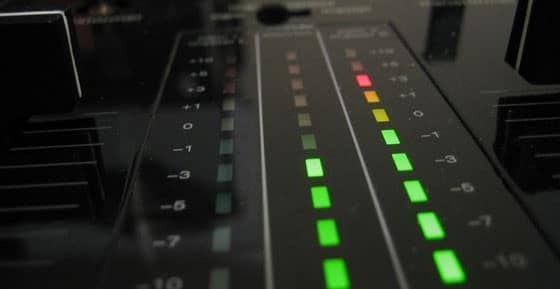 So if the sound is captured (by the mic) and propagated (by the loudspeaker) in such a way that the sound is true to the source across the frequency spectrum, then the sound is said to be of high fidelity. All the components of the PA system should work in harmony to maintain the fidelity of sound. Distortion induced by poor equipment. Ambient noise levels: Traffic noise, industrial noise, noisy audience, etc. Poor frequency response: Due to the acoustic nature of the space, certain frequencies seem louder and others softer. This is a straight forward concept to understand. Sound sources seem pleasing when they are set at an optimum level. If the sound is either too loud or too soft, it doesn’t seem appealing. The sounds also have to be of appropriate loudness with respect to each other. For instance if the mridangam is too loud in relation to the vocals, the effect is displeasing. Appropriate output levels of loudness are to be set both on the stage monitors (for the artists) and house sound (sound for the audience). In terms of the electronic equipment, when the audio signal is too high (or loud) it leads to clipping. This clipping might cause distortion (crackly audio sound) and might even damage the loudspeakers and other equipment. So the signals also have to be set at appropriately. Now that we have set a baseline, we can explore how one can hopefully achieve these aims. Proceed to Part 2. I agree with u about the sound system in the katcheries. Very useful information. Every musician/ music lover should go through the sunadam( very apt name) website.. Awesome website for amatuer music lovers. Great effort from your side. I admire your selfless contribution towards Carnatic Music.